At hand is a masterpiece of biography, the best of the genre that I have encountered in almost seven decades of reading. 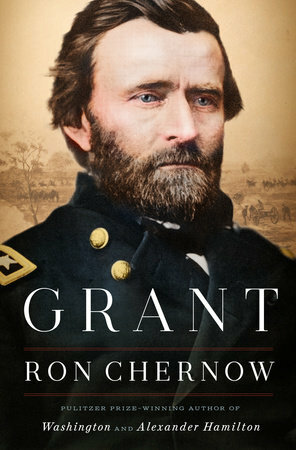 Ron Chernow’s book should vault Ulysses S. Grant into a deserved but long-denied position in the front rank of great American presidents. Grant’s legacy long suffered for two reasons: his reputation of being a heavy drunk, only partially deserved, and multiple scandals that marred his two-term presidency, although he was not personally involved in any of the affairs. Mr. Chernow’s detailed book examines both issues in a detail I have not seen in earlier biographies, and he essentially acquits Grant. The “drunk” label was plastered on Grant with good cause. During the Mexican war, the West Point graduate earned a record for gallantry. Then he was assigned to a remote base in California, far from his wife. A business deal soured, costing him what meager money he possessed. A binge followed, and he was dismissed from the Army. Hard times followed. An unforgiving and stern father, who never thought much of his son, then or later, hired him as a minor clerk in his leather shop. Stripped of his military finery, the woebegone Grant walked the streets in rags. At one point he sold fire wood on the streets of St. Louis to support himself and his family. Grant wisely recognized that he was an alcoholic prone to binge drinking. The only solution was to keep away from liquor. His rebirth was swift. At the outset of the Civil War, Grant was restored to active duty in command of an Illinois regiment. His battlefield expertise swiftly propelled him up the ranks, past political hack officers who abounded the first months of the war. Such was the hallmark of Grant’s later campaigns. And his successes in the West — his capture of Vicksburg essentially cut the Confederacy in half — led to a summons by President Lincoln to take charge to replace the hapless Gen. George B. McClellan, who had failed in several forays against Gen. Robert E. Lee. Grant’s solution was to put an iron vise around Lee in Richmond and starve his army into submission by cutting railroad lines. Appomattox and peace followed. Despite his many battle successes, the “drunk” charges persisted, which Mr. Chernow demonstrates were chiefly fabrications by officers jealous of his fast rise. Grant emerged from the war as one of the most popular men in the United States, and as a Republican, he won a landslide election to the presidency in 1868, 214 electoral votes to 80. Unfortunately, die-hard Southerners refused to accept the outcome of the war. Although slavery had officially ended, abuse of blacks continued, and the Ku Klux Klan emerged as a draconian oppressor. Grant dispatched troops to the South in an attempt to protect black rights, but Southerners simply failed to enforce anti-discrimination laws or the Constitutional amendment giving blacks voting rights. Grant easily won re-election in 1872 with 56 percent of the vote, but racial strife continued to bedevil the South. By the time he left office, however, Grant had been tainted by several scandals, ranging from a gold-price fixing scam to liquor tax corruption. Mr. Chernow maintains (and documents) that Grant’s failing was his inability to detect scoundrels. Such was surely the case in his post-presidential years, when he became a partner of a con man whose Ponzi scheme not only wiped out Grant’s money but that of family and friends as well. To insure a future for his wife, Grant spent his last years writing a memoir of his Civil War experiences. And here is the most moving section of Mr. Chernow’s masterful work. Grant wrote as he was dying of painful cancer of the tongue. 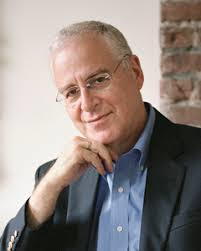 Barely able to speak beyond a whisper or hold a pen, he produced a work that Mr. Chernow calls “the foremost military memoir in the English language.” The two-volume work quickly sold 300,000 copies and left his widow a fortune of $450,000. The memoir continues to sell. In brief: the deserved resurrection of a decent man whose military acumen preserved the Union.